Elephant poaching has reached crisis levels. Elephant poaching has reached crisis levels. 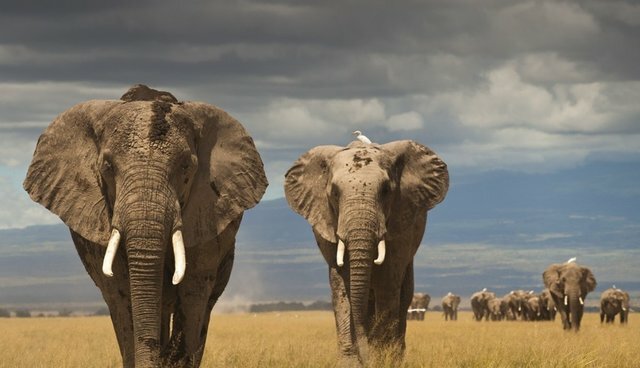 Elephant poaching has reached crisis levels. I'm not quite sure how many times and in how many different ways it has to be said to make a global impact, but elephant poaching has reached crisis levels-and something must be done now. A new study published this week in the Proceedings of the National Academy of Sciences, conducted by some of the world's leading elephant experts, adds additional firepower to justify the urgency of our efforts to save elephants. Using a field census of elephant carcasses, the study, "Illegal killing for ivory drives global decline in African elephants," reveals that an estimated 100,000 elephants were killed by poachers across Africa from 2010 to 2012. That's mind-boggling! We knew that the numbers were high, but this study-for better or for worse-substantiates our fears. The study found that "illegal killing increased markedly after 2008 and was correlated strongly with the local black market ivory price and increased seizures of ivory destined for China." Furthermore, while the killing of elephants has been "most pervasive in the populations of Central Africa," populations in East and Southern Africa starting declining around 2009. The fragile forest elephants of West and Central Africa will go, then Kenya and Tanzania as the poachers move east, then finally, lastly, poachers will target the once stable elephant populations in the south. It's a blueprint for extinction. I wish this was a mistake. I wish I could chalk this up to an overestimation. But, I know Iain Douglas-Hamilton and Patrick Omondi, two of the researchers who conducted this study, and I trust their expertise. The bad news is, unfortunately, true. The only silver lining is that the findings of this study validate the need for action... NOW. It's time for more action in the U.S. There's no excuse for the fact that antique stores and auction houses continue to sell ivory. Give me a break! It's time for more action overseas. Despite highly publicized ivory crushes in the U.S., France, the Philippines, and even Hong Kong, to name a few, England seems reluctant to destroy its ivory stockpile. Get rid of it wherever it exists. Permanently gone. Only elephants should have ivory. And, there are rumors that South Africa will seek to sell its stockpile: a decision to be considered at the next CITES meeting in 2016 (ironically, to be held in South Africa). Shame. A note to all CITES delegates: read the papers. The evidence is there. I know two things for sure: 1) the elephant poaching crisis is out of control, and 2) complete ivory bans save elephants. Their extinction is assured if this rate of slaughter continues. We cannot risk it. Sometimes, it's just that simple.